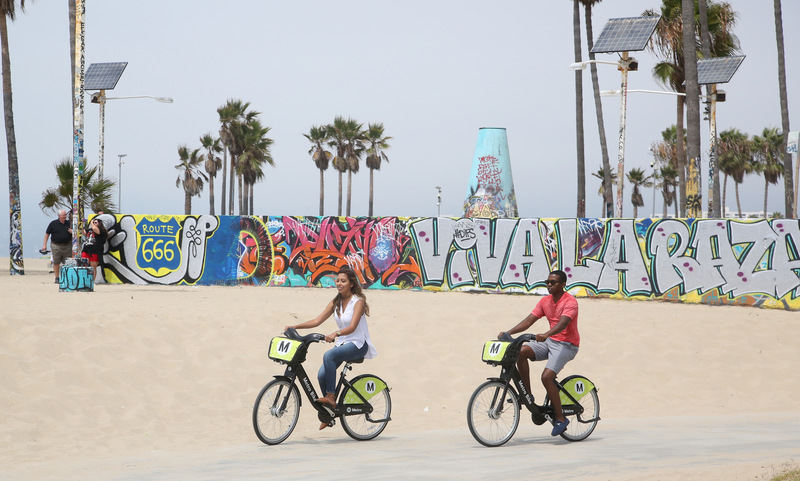 The Metro Board of Directors in May approved the Phase 3 Expansion of Metro Bike Share, to the Westside Los Angeles communities of Palms, Mar Vista, Del Rey, Play del Rey and Playa Vista. Since then, Metro and the city of Los Angeles have been working diligently to develop a list of potential station locations for the public to consider. The list of potential locations was carefully developed by examining suggested locations in a previously released countywide crowdsourcing map, station spacing, access and convenience, safety considerations, land use and destination patterns, discussions with L.A. Council Districts and local stakeholders and a Bike Share Suitability Index developed by an outside consulting firm. Now we want to hear from you and gather public input on potential station locations. Tell us whether you like or dislike a potential location, and leave comments and suggestions about potential locations by visiting the crowdsourcing map here. The map will be open for public input through July 31. The average station size is approximately the size of three parking spaces. Some stations may be smaller. I wish government would not try to compete with business. Stick with wasting our tax money on government and let business make money solving real world problems rather than stealing business from tax paying companies and entrepreneurs. Sweet, no bike share near the Westwood/Rancho Park station. Transit networks and such. Why aren’t there any station locations planned in Marina del Rey? People live there. People visit there. People bike there. Bike share belongs there. What about Marina Del Rey? I would have included at least six station in Marina Del Rey to serve all of the residents, recreation areas, shopping and dining locations. Is Marina Del Rey excluded because it isn’t in the City of Los Angeles? Since Metro Bike share is funded by the Los Angeles “County” Metropolitan Transportation Authority that doesn’t make sense.